NorthernAxcess brings the IsatPhone Pro Stay in Touch Kit that includes the IsatPhone Pro satellite phone that offers top quality voice and designed to withstand the world's toughest conditions, Redport Optimizer device that allows you to use your smartphone and/or laptop to check emails and much more, 100 Worldwide Prepaid Minutes, and a Shoulder Bag. If you are planning to travel to a remote location and it is critical for you to have access to your Email to stay connected to you work office, or keep in touch with your family and friends, this kit is for you. Don’t miss any important emails while traveling. The Worldwide 100 minutes card is valid for 180 days from the activation date. You can activate the card within 60 days. When purchasing this kit will not pay an activation fee. Pack your IsatPhone Pro satellite phone and accessories on a stylish shoulder bag and be ready to go. Use this bag any time of year to match with winter or summer gear. The IsatPhone Pro satellite phone is the ultimate satellite phone packed with innovative features such as top quality voice, voicemail, text and email messaging, with the ability to send your GPS position via either text or e-mail. This is the only satellite phone to support Bluetooth. The IsatPhone Pro satellite phone offers the longest battery life in the industry with eight hours of talk time and up to one-hundred hours of standby time. The IsatPhone Pro is compact, easy to use, and budget friendly, making it one of the most cost-effective satellite communications alternatives offering very competitive airtime pricing. The IsatPhone Pro has a color screen and up-to-date software, with a similar smartphone appearance. 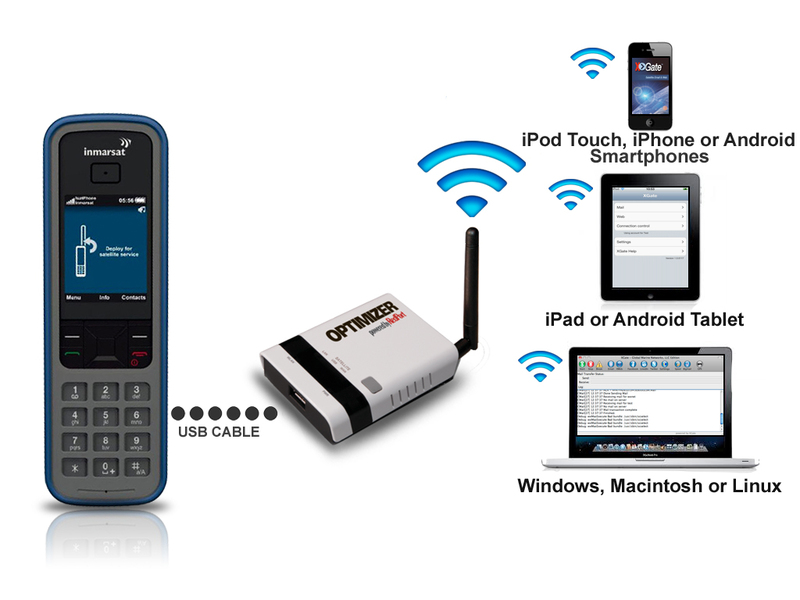 The Redport Optimizer device connected to IsatPhone Pro satellite phone will create a Wi-Fi Hotspot and will give you easy access to email, web, weather and social media services, and even track your location. Its powerful firewall blocks all unwanted service to eliminate runaway satellite phone airtime bills. The IsatPhone Pro Pre-paid calling card service offers you the control and flexibility of numerous pre-paid minutes’ options. With these prepaid cards you don’t have to be concerned about contracts or monthly access charges. Every IsatPhone Pro Pre-paid calling card remains active for a valid period of time which starts on the date of activation. Learn more about the IsatPhone prepaid airtime plans. This Bag is a great and trusty canvas shoulder bag with flap and buckle closure. 2 pockets on front with Velcro closure. Wear this any time of year to match with winter or summer gear. Adjustable Shoulder Strap 100% Cotton. Click the button below to add the Inmarsat Isatphone Pro Stay in Touch Kit w/Airtime, Optimizer & Satchel to your wish list.